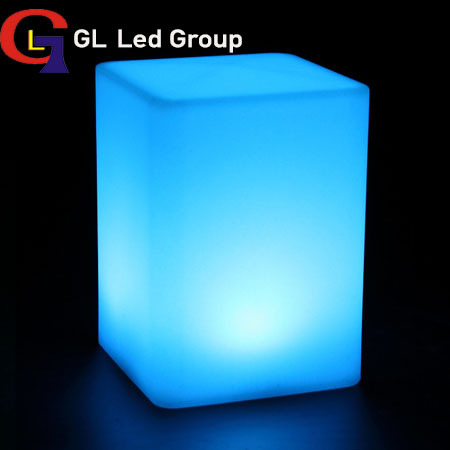 This modern led cube lamp made by high quality material: PE(waterproof, screwproof,fireproof and cleanable);Build-in brightness RGB 5050 plus white 3014 led lamps, with long lifespan(80000-100000hours); Color changing by cordless remote control. The color from soft to brightness. The counter work with li-battery(18650 type), charge 4-5hours, can keep working 10-12hours).